Posted by claralieu in Uncategorized. This morning we finished up the final stages of deinstalling “Transformations” and began installing “350: Student Exhibition“. This student exhibition spotlights students who are doing 350 level projects this year as well as students in the ARTS217 Life Drawing course. Join us for the opening reception next Tuesday, April 20 from 4:45-6pm. 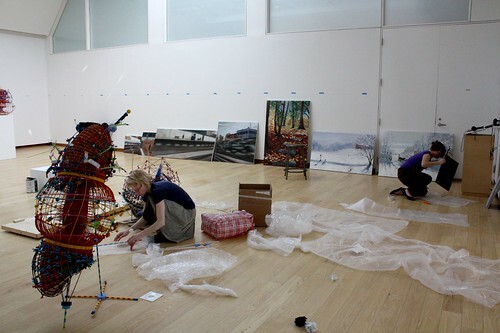 The incoming student paintings are against the gallery wall, waiting to be installed into the gallery space. 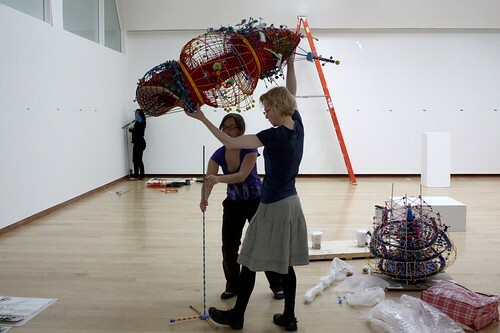 Nathalie Miebach works with a student gallery assistant to pack up her sculptures from the “Transformations” exhibition. 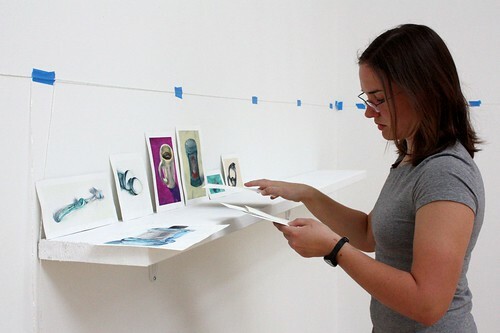 Madeline Vara works to arrange her works on paper project onto a wooden shelf she installed into the gallery wall. 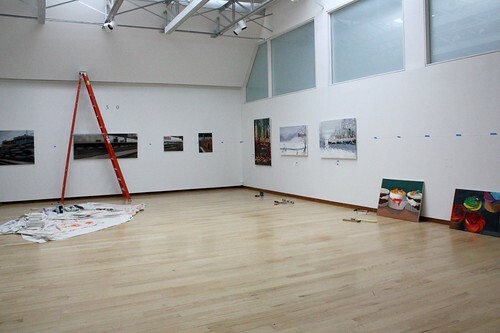 Becky Parker’s oil paintings are on the left, with Wanda Xu’s landscape paintings and Laura Foley’s oil paintings of cupcakes on the right. To view all of the works in the exhibition, visit the Jewett Art Gallery’s Flickr Page.